With more women playing and designing games, how are they reshaping the game industry and what does it mean for the future? 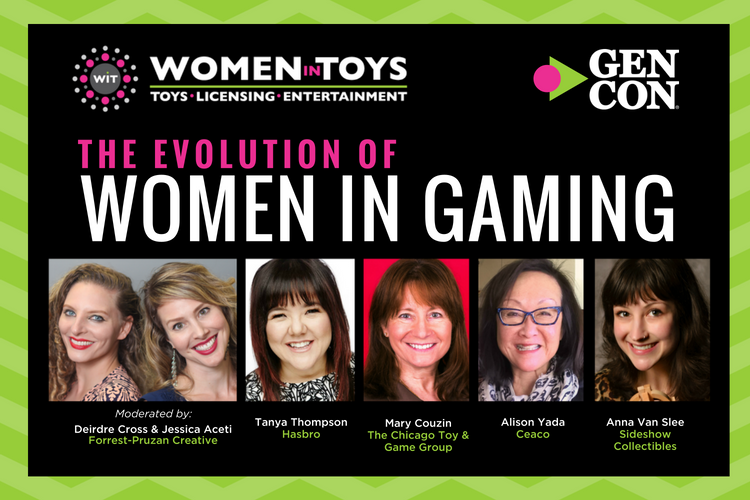 Women in Toys, Licensing & Entertainment (WIT) presents its first-ever panel at Gen Con on Saturday, August 4, 2018, a fascinating exploration into the impact women are having on the industry and what it means for the future. WIT Empowerment Day 2018 – Our Best One Yet! Innovation and Inventors are Trending – Especially Kid Inventors! cooltoys on Innovation and Inventors are Trending – Especially Kid Inventors! Let me know about WIT events, webinars, news, and more. Did you know? WIT has member chapters across the globe!